Teodore is preparing for his date with Agathe. 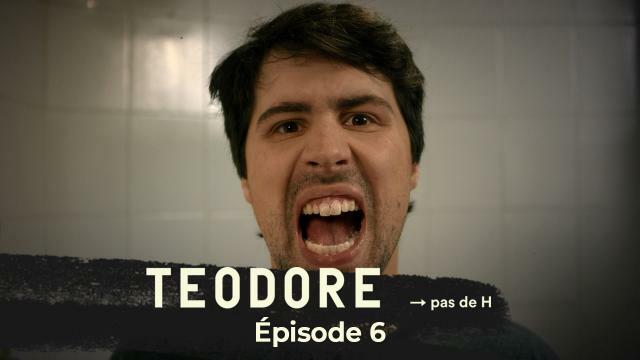 Teodore is in the bathroom preparing for his date with Agathe. Habib and Magda go see him. 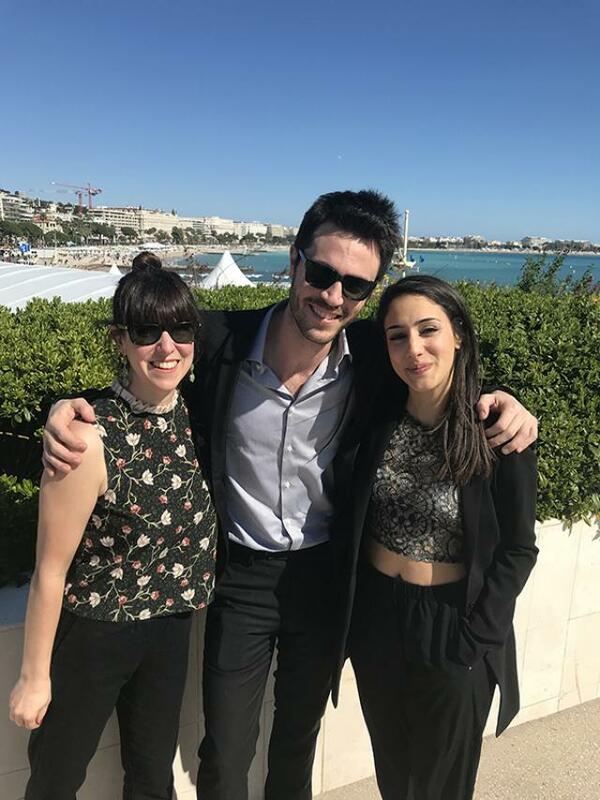 Habib makes him believe that he is suddenly in love with Agathe too. Before Teo can process this information, Habib and Magda burst into laughter. It’s a joke! 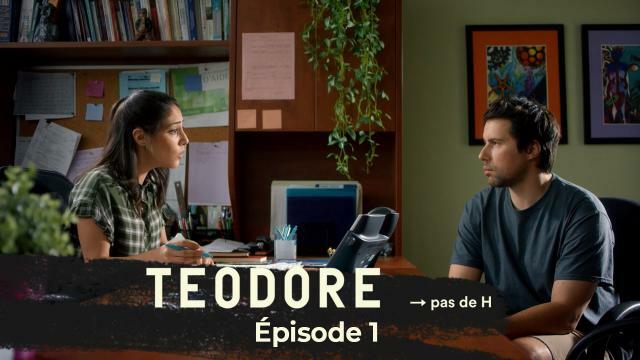 But Teodore is not out of the woods yet because Martine arrives at the apartment in tears and makes Teo believe that her boyfriend has left her. That’s a joke too. Then, Cheryl, the queen of gossip, pays them a surprise visit. Teo doesn’t want her to know he has a date with Agathe. He finds a way to distract her and finally manages to escape. 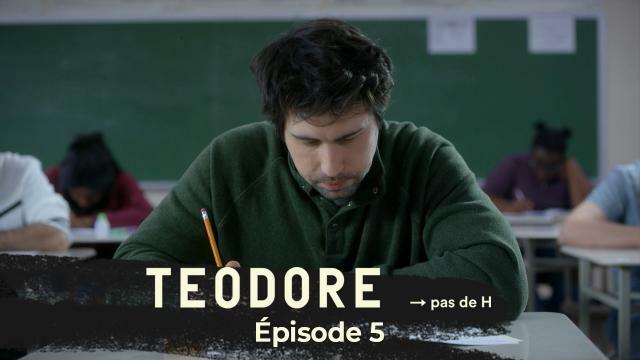 When he arrives at the restaurant where Agathe is waiting for him, Teo sees the school principal. She comes over to greet them. 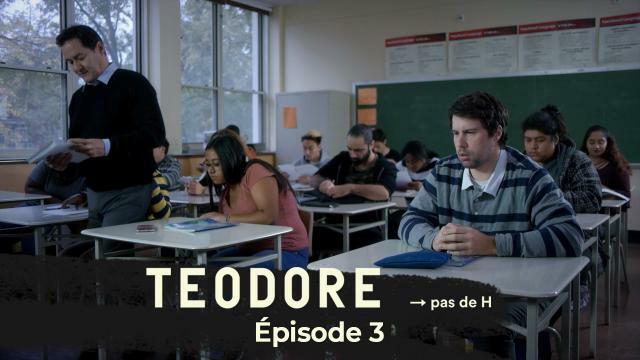 To avoid causing Agathe any trouble, Teo invents a totally crazy story that the principal believes. Agathe finds it easier to tell the principal that they have known each other since high school, which is true. 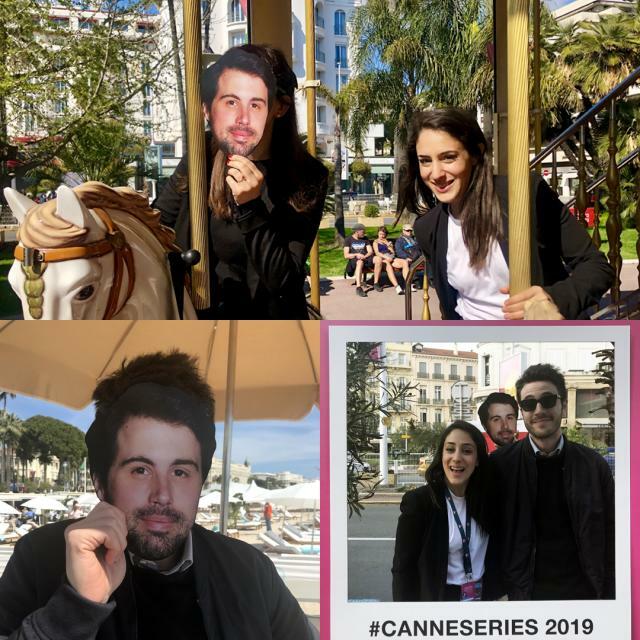 Teo finds out that Agathe had recognized him since the beginning of the year. They decide to take their pizza to go and they leave the restaurant like two teenagers who have just been caught. They end up in an alley and agree to wait until Teo finishes high school to see each other again. Teo is happy and in love and suddenly we start to hear Agathe’s inner voice. We learn that she too has a crush on him and that she clearly has a generalized anxiety disorder. Teo settles into his new apartment where Habib, his new roommate, already lives. Teo tells Habib that he has officially been diagnosed with ADHD. Teo questions his choice to go back to school and even thinks about dropping out. Teo tries to meditate in his kitchen by staring at the flame of a candle. Martine, Teo’s mother, has an appendix and asks him to go to the emergency room with her. 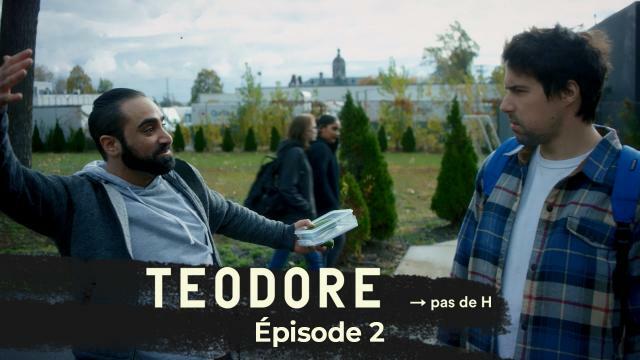 Journal Métro on Teodore. 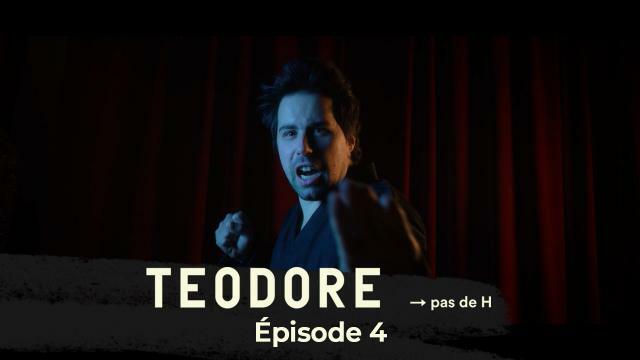 Without the H.
Le Devoir on Teodore. Without the H.